Take a look at our NEW learning pack and the fabulous world of historic maps! An educational resource for key stages 2, 3 and 4 designed to support Know Your Place as a tool for local history and local heritage learning in schools, community groups and educational facilitates across the West of England. 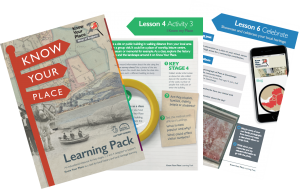 The pack is FREE to download from our website and provides a range of lesson ideas and original resources from heritage organisations that can be used to support school lessons and group sessions within your organisation. 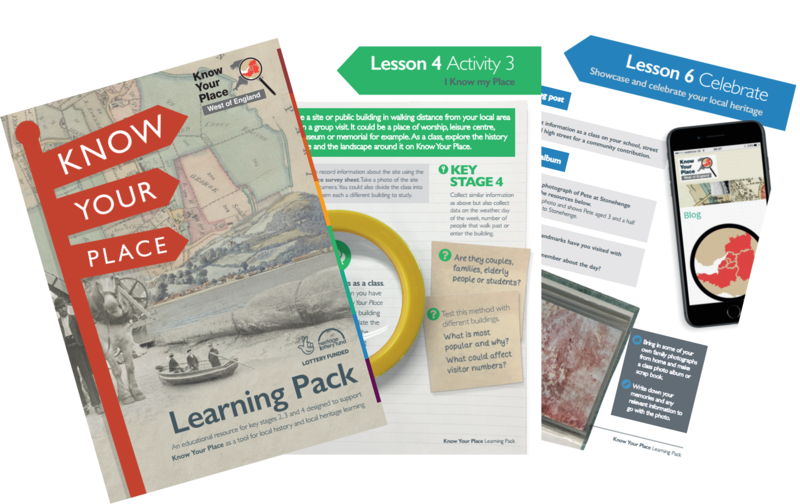 We have developed the learning pack in partnership with Local Learning and Heritage Schools, Historic England, and tested with educators across the region to supply everything you need. 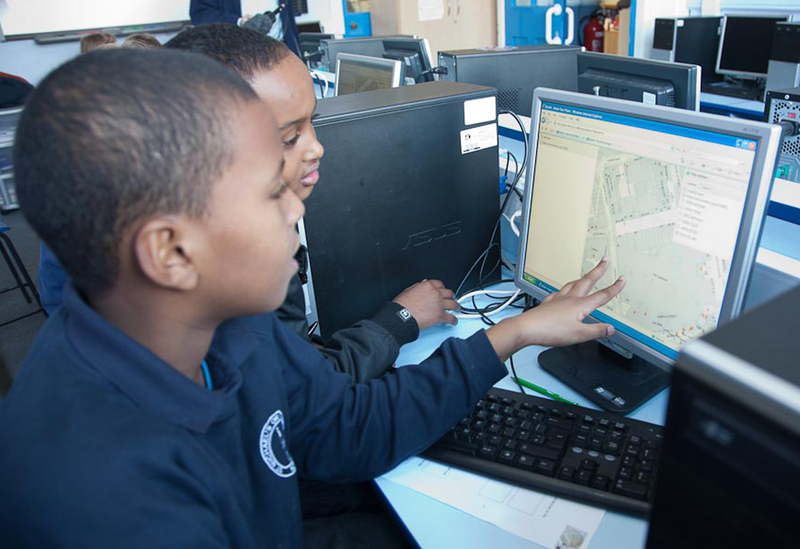 Although the pack focuses on local history, lessons cover a range of cross curricular content and links to the national curriculum including Art, Computing, Design and Technology, English, Geography, History and Science. We want to encourage you to use Know Your Place to discover your local history, get involved with your local community and start conversations about local heritage. Most importantly, we want to inspire you to upload your own content onto the community layer of Know Your Place. In doing so you’ll help us grow this rich local heritage community resource for everyone. The pack contains 6 themed ‘lessons,’ each with a range of activities, lesson ideas, worksheets and resources that can be used and adapted to suit your intended outcomes. Learn to recognise features on maps with Know Your Place, follow instruction sheets on how to use the site and play map related games to enhance understanding. Perhaps you’ll look at the history of your school, your local town, the landmarks in your region or think about what makes a good settlement site? Celebrate and showcase your local heritage using the work and research you have collected throughout previous lessons. There are further resources and links to support you throughout the pack plus a series of case studies which demonstrate how other schools and organisations have used Know Your Place before. Download it for FREE here! All we ask is that you fill in a short survey before downloading so we can keep track of our audiences. For more information about the project visit kypwest.org.uk.